American rock band that was active between 1988 and 1995. They formed in Illinois, Chicago in the late 80s out of the ashes of another band called Blatant Dissent and toured with the likes of Jawbox, Arcwelder and Jesus Lizard. They went on to produce a number of singles, albums and compilation tracks. Their 1995 album “Over And Out” is considered a high point in their career by many, but they broke up soon after the album was recorded. Bassist Tom Zaluckyj and drummer Mike Greenlees formed LuckyJ after Tar’s dissolution, but they never released any material. 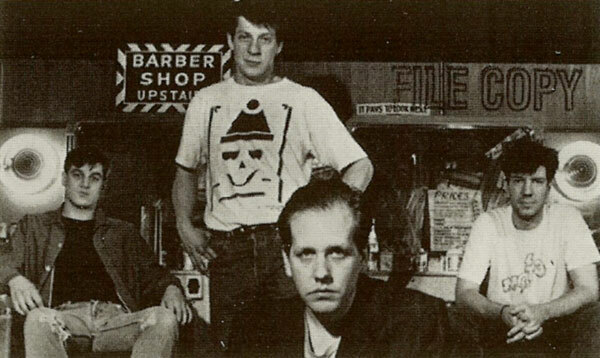 ZaluckyJ also played with Fred Schneider (B-52) for a brief period and served as an engineer at Steve Albini’s studio, while Mike Greenlees joined Ex-Chittle. I bought Toast in a used music store on a whim about half a year and it's real nice! Love the cover art too.